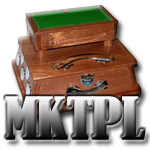 The Milton Keynes City Snooker League has changed it's league format. It's out with the doubles frame, and in with 2 more singles frames. So now you have 6 singles frames, of which players can play up to 2 frames each. A minimum of 4 players are required to register a team (3 to 6 players can play on the night). Just to say hi to you all... It's Julia from Kiln Farm Club. Newly refurbished, under new ownership/management - we have one pool table currently - another one on order. We are hoping to join the Tuesday and Sunday leagues. We are a bar/restaurant. Come check us out! NOTE: we are looking for pool players to help us form new teams! Contact us on 01908 262924 or via our website. Whoever invented one way systems should, quite frankly, be shot. If you cant design a town that can cater for houses and roads that have enough space for cars to go both ways then knock the place down, shoot the designer, and start again. Four teams attended shootpool in Aylesbury, with Amersham stating they wish to play in the league but cannot raise a team for the cup. Registrations will be taken from 10.30am with an expected start time of 11am. It's only ?5 to enter! There is nothing much I can say about this match, we just didnt turn up today. We actually were 6-3 up and won the first session 6-5. Northants with a mix of some good dishes and some rub on the table won 15 in a row. Bucks B?s started a highly anticipated season at home against Warwickshire hoping to put the disappointing finish to last season behind them. With a number of new signings making their debut plus some quality players returning, the thoughts were only about a winning start with such a strong line-up. Hopes and expectations were high, noise levels were off the chart and support for each other was unsurpassed. First game was due to start at 10pm but started about an hour late. 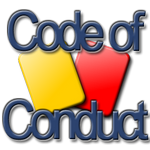 Here it is, the first report of the year. The loss of Worcester and Herefordshire and the introduction of Wiltshire and a new scoring system are going to make this a very interesting season. Our hopes are high and our aim is to simply top the region. This year we are again fielding a very strong squad and man for man we are more than a match for anyone. The iCueSport.com team are delighted to unveil the latest addition to our portfolio of sites. Merseyside Pool is a brand new site covering the Merseyside area and sees our first forray outside of EPA Region 5. 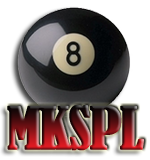 The site will feature Mersyside County Pool Association's information from Region 2 along with local league information. Well, Sunday was supposed to be our last game this season, a result was guaranteed but a great result was needed. Unfortunately Hereford thought it was a good idea to have a no show leaving all our players at the Herald waiting for nothing. This will be a record breaking shortest report. End of third session we were 19-14 up and looking great. Fourth session we lost 6 in a row and only won 2 games in the session, 23-21 loss. Last match of the season for us ?Old Farts? saw a double header against the Worcester Wobblers. It was good to welcome Ian Whitelaw, who is still awaiting a transplant, even if he looked a little frail. 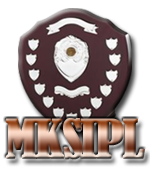 Milton Keynes once again took two teams to Great Yarmouth for the EPA Interleague Knockout Finals. But for the first time ever both teams won their group stage and proceeded into the knockout phase of the tournament.